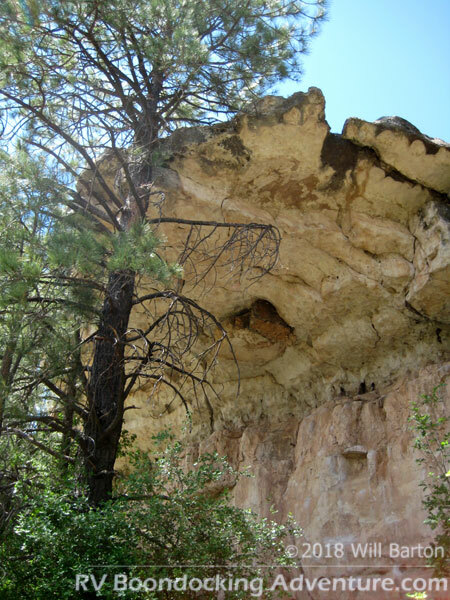 Priest Draw is a small and shallow canyon about 7 miles south of Flagstaff, Arizona. 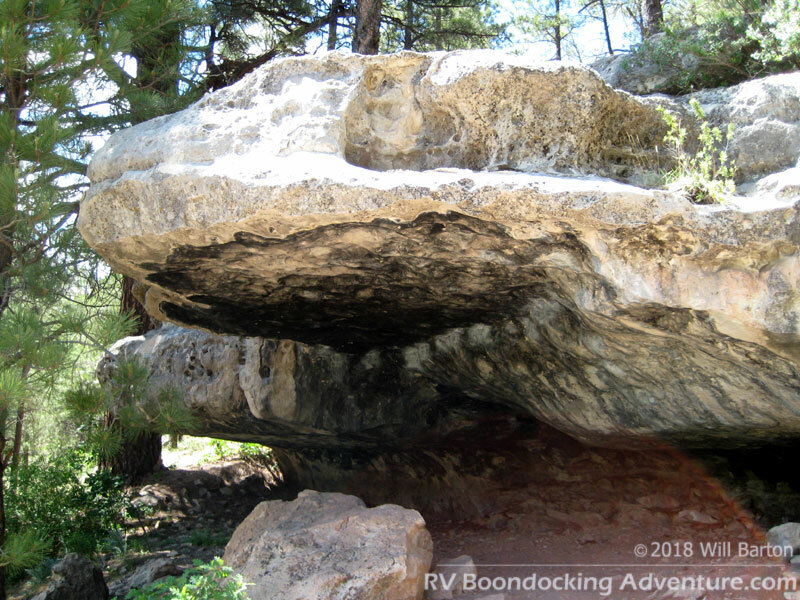 What makes this canyon unique is that it allows you to get up close and personal to the beautiful limestone rock of the Kaibab Formation. 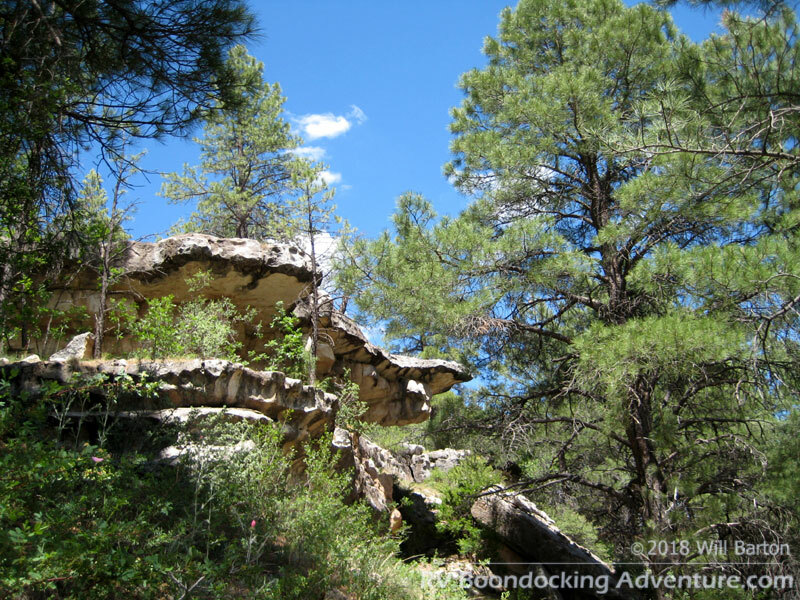 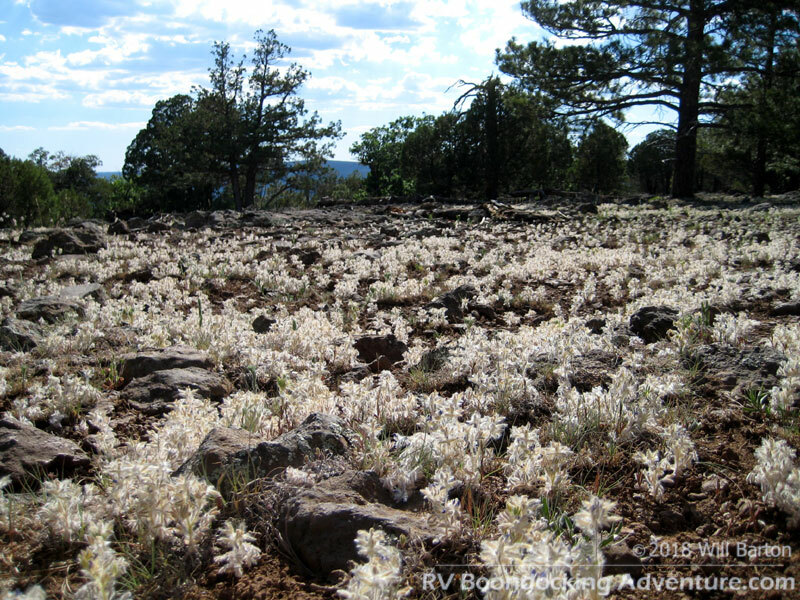 You’ll find this same layer of limestone throughout Northern Arizona; however it usually isn’t so accessible. 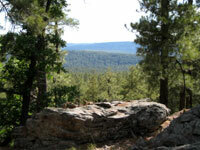 The Kaibab Formation was formed around 250 million years ago in a shallow sea at a time when Arizona had beach front views. This formation also makes up the top layer of the Grand Canyon. 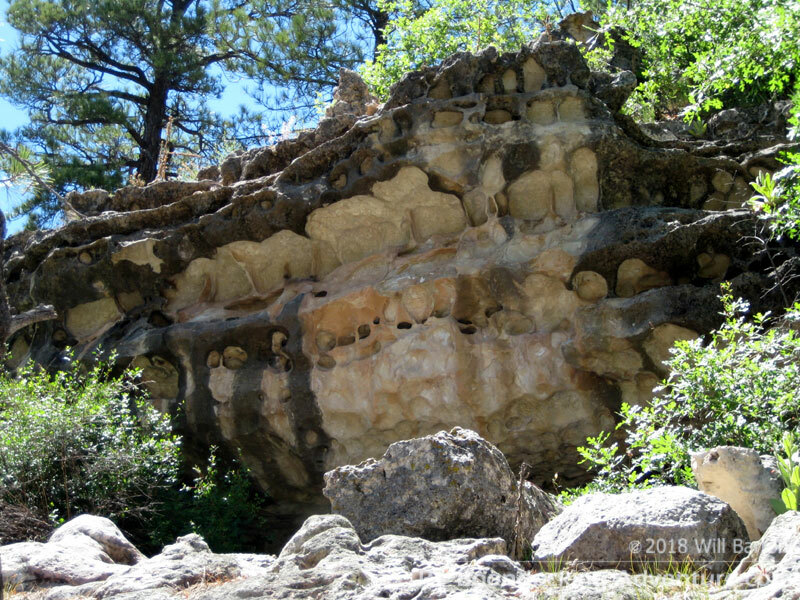 You can also find a fine example of this rock layer at Walnut Canyon National Monument. 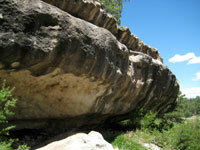 At Priest Draw, you’ll see where softer layers of limestone have eroded away leaving overhanging rock and shallow caves. 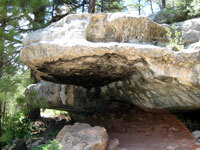 The blending of dark grey and white rock here creates stunning visuals, as do the smooth “pockets” of eroded rock on the surface. The rock formations at Priest Draw have made the area popular for bouldering - a style of rock climbing where no rope is used and “crash pads” are placed below to soften a fall. 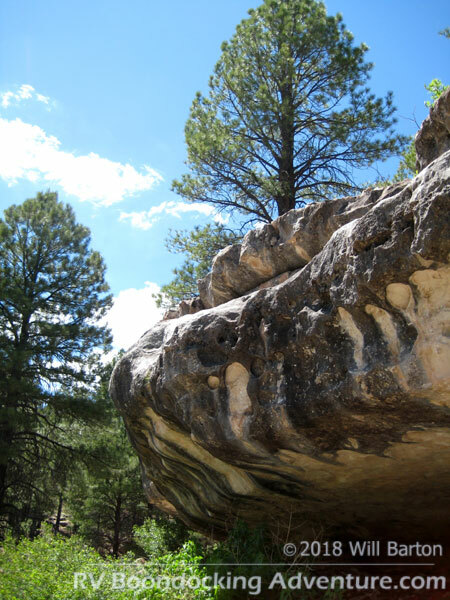 The pockets in the overhanging rock make great handholds and footholds making it possible to rock climb while hanging upside down. 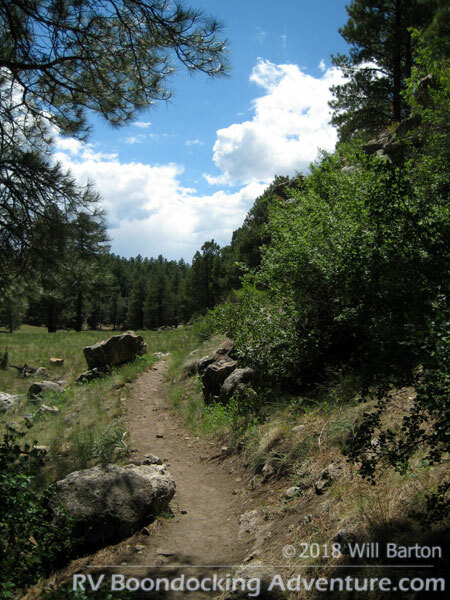 There is an easy trail through the draw. 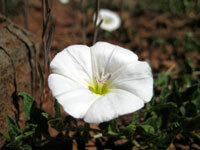 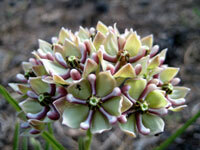 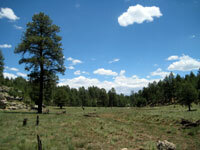 Easy, as the draw bottom is a meadow and mostly flat. 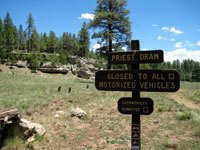 No motorized vehicles are allowed in the draw. 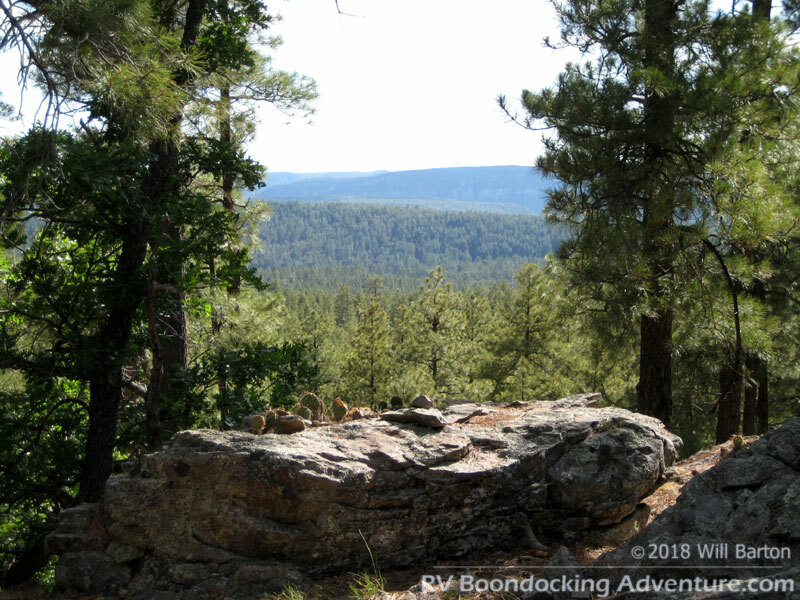 Hike in camping is allowed…however, this is a sensitive area so practice stealth camping: before you leave, make it appear you never arrived. 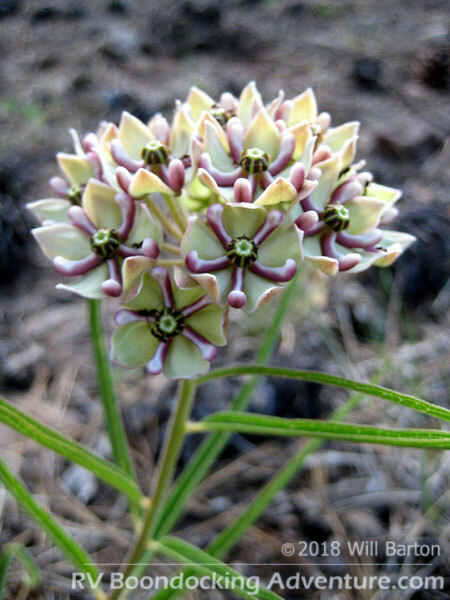 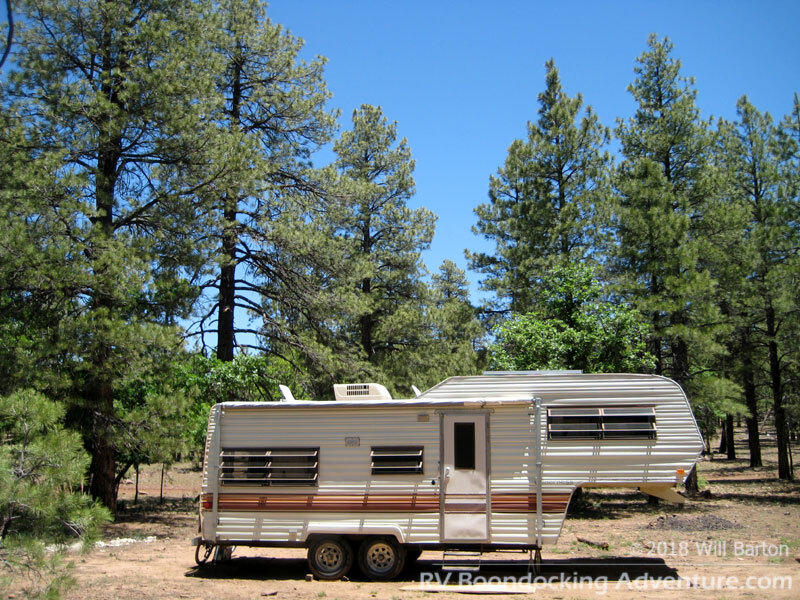 Remove all traces of trash, camping equipment, campfires, etc. 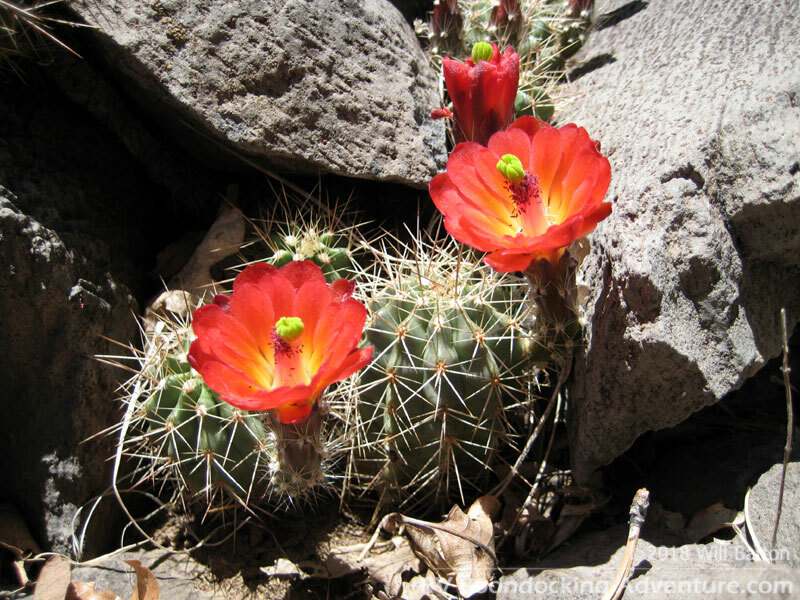 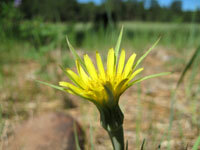 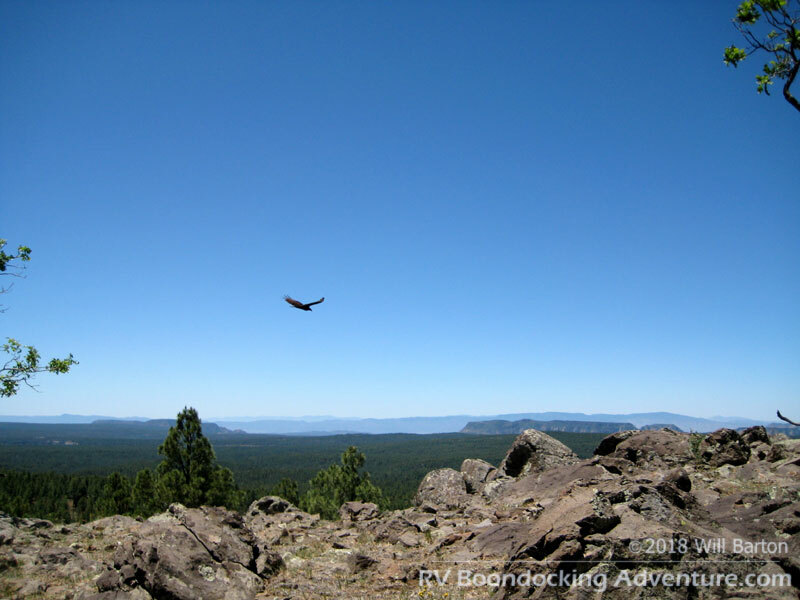 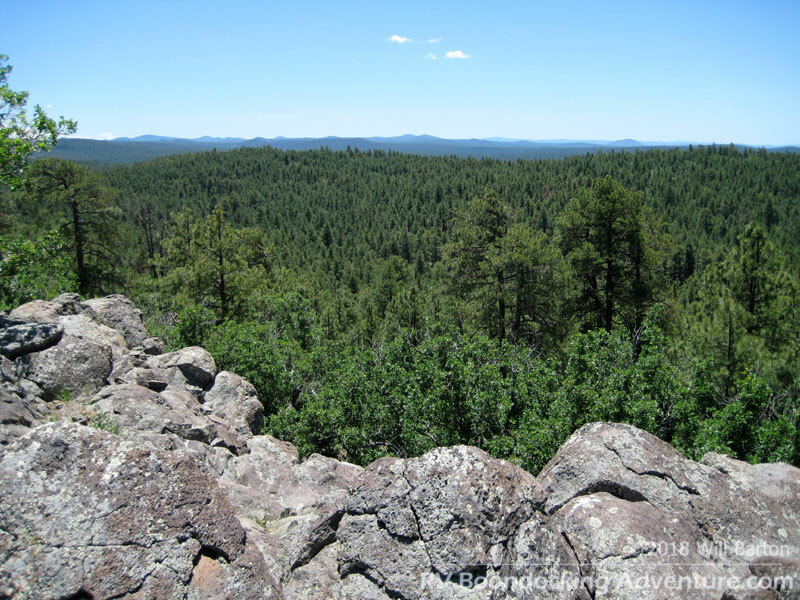 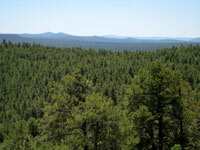 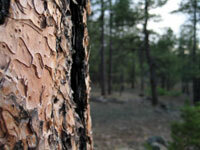 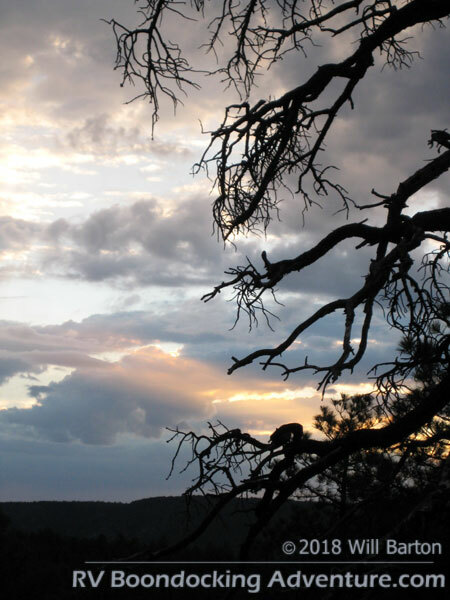 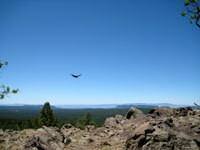 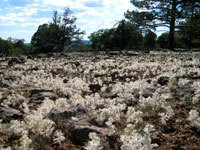 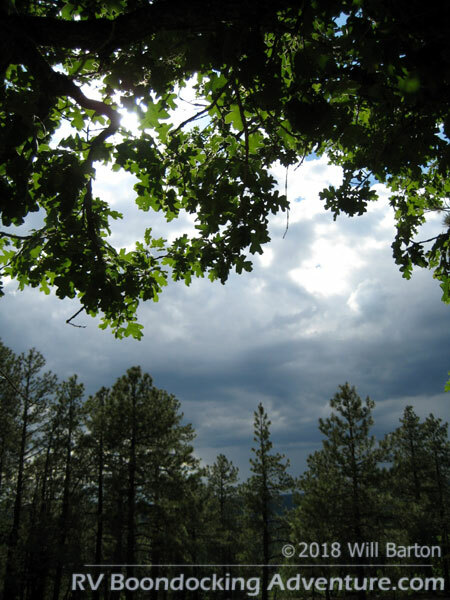 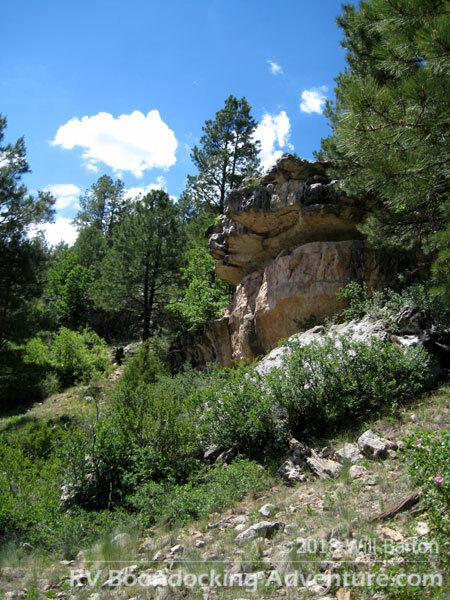 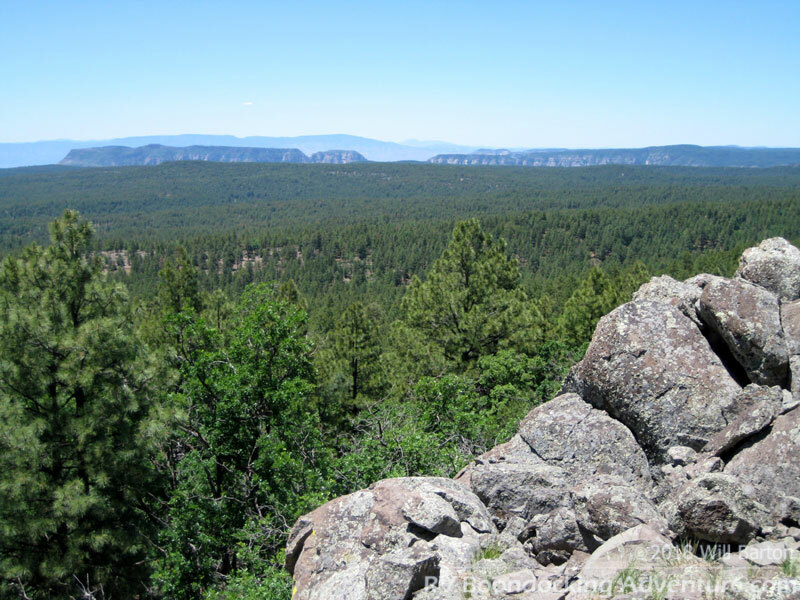 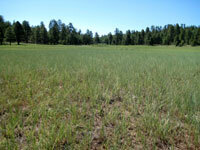 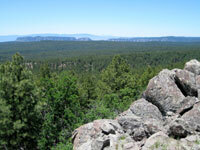 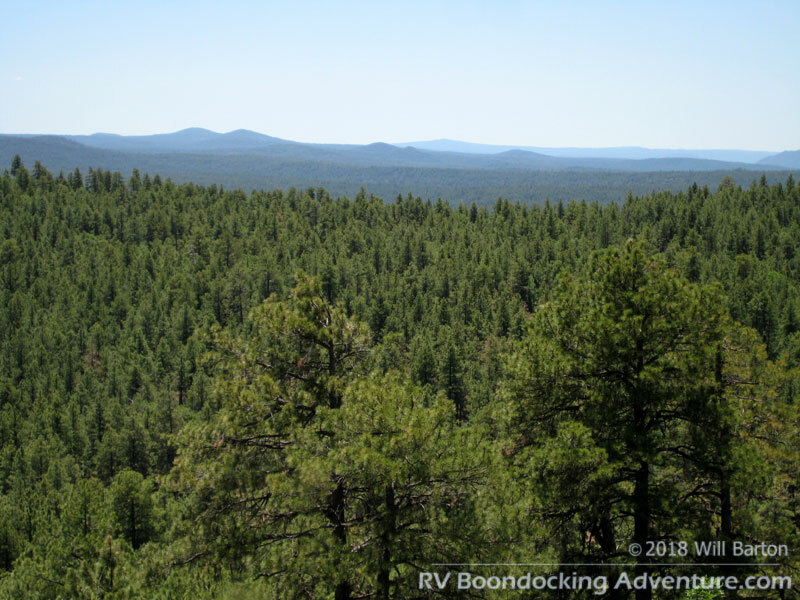 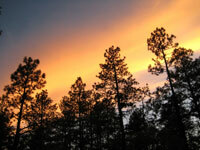 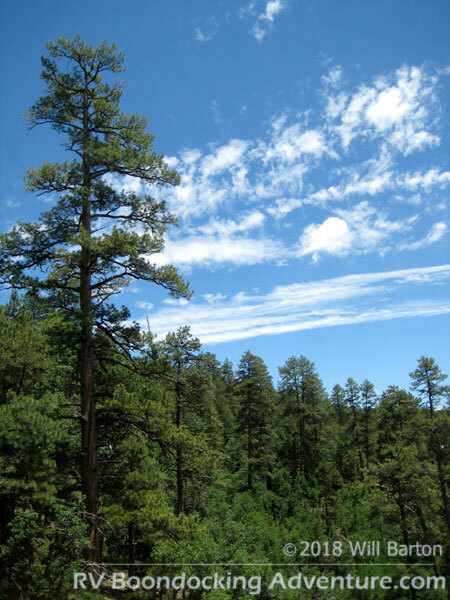 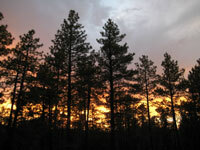 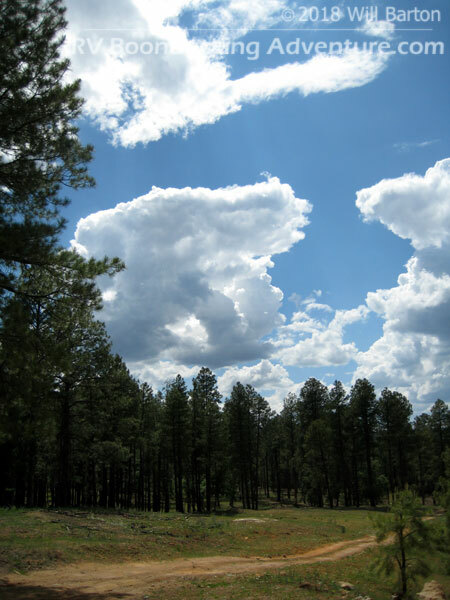 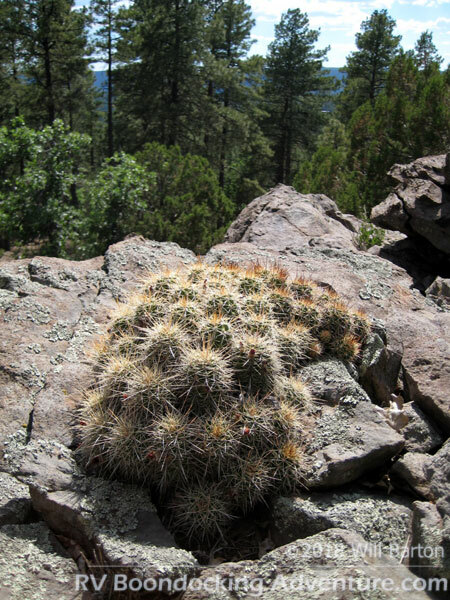 Priest Draw is situated in a beautiful section of the Coconino National Forest…and a forest it is! 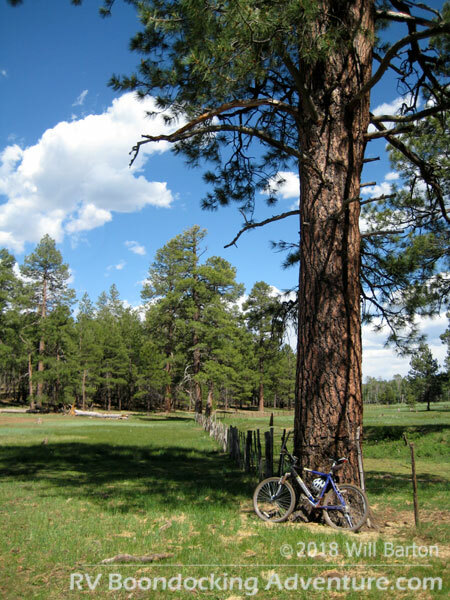 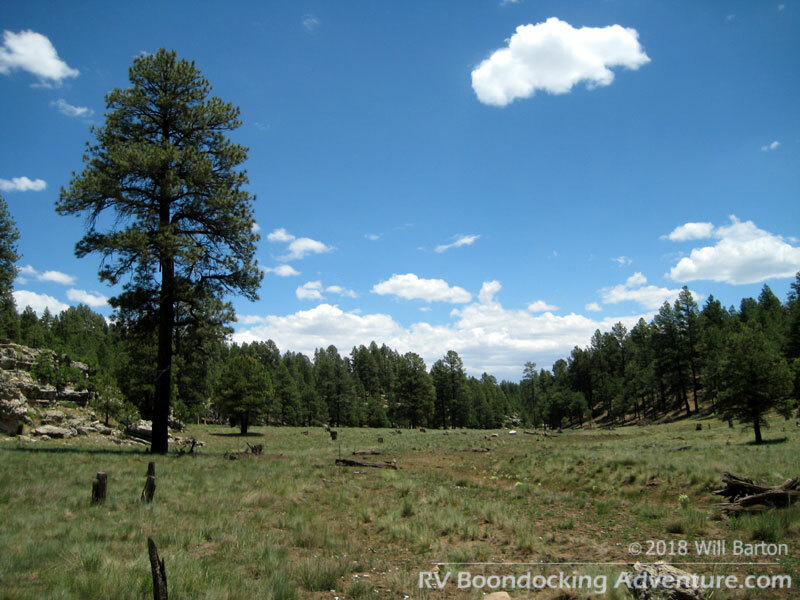 Tall ponderosa pines dominate the landscape. 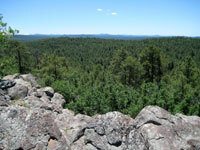 Up here at 7,000 feet, it’s mighty refreshing too, especially if you’re coming from the Phoenix furnace. 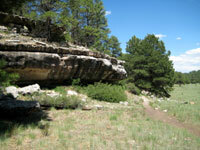 There are plenty of places to explore nearby. 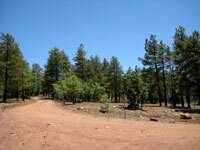 A multitude of National Forest Roads cover the area, making it easy to get just about anywhere. 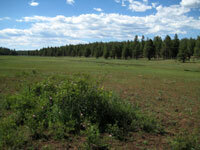 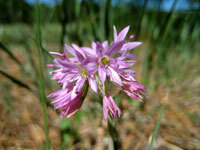 East of Priest Draw is Anderson Mesa with its many picturesque lakes such as Lake Mary, Mormon Lake, and Ashurst Lake. 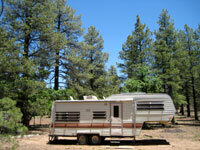 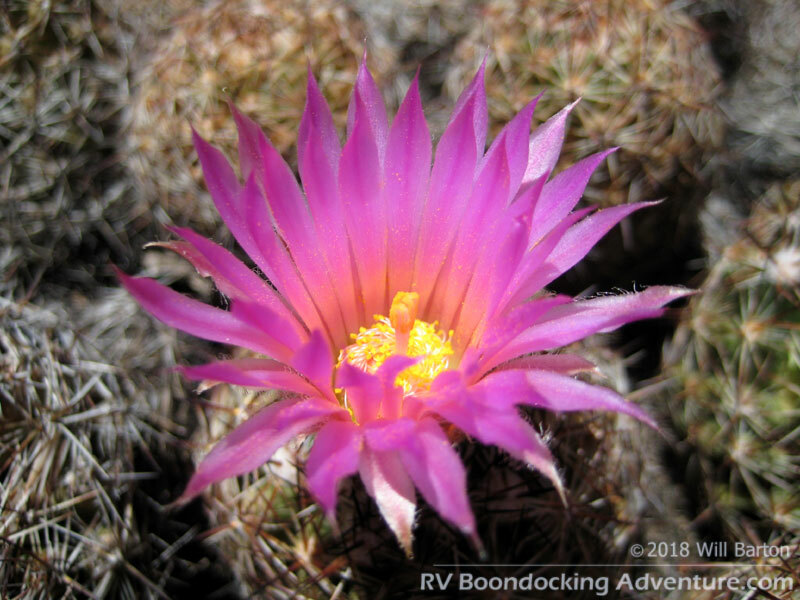 Several free RV camping, tent camping, and car camping sites are in this area. Campsites can be found to the east off of National Forest Road 132, accessible via Lake Mary Road - and to the west along National Forest Road 700, accessible via I-17 exit 333 and 331. 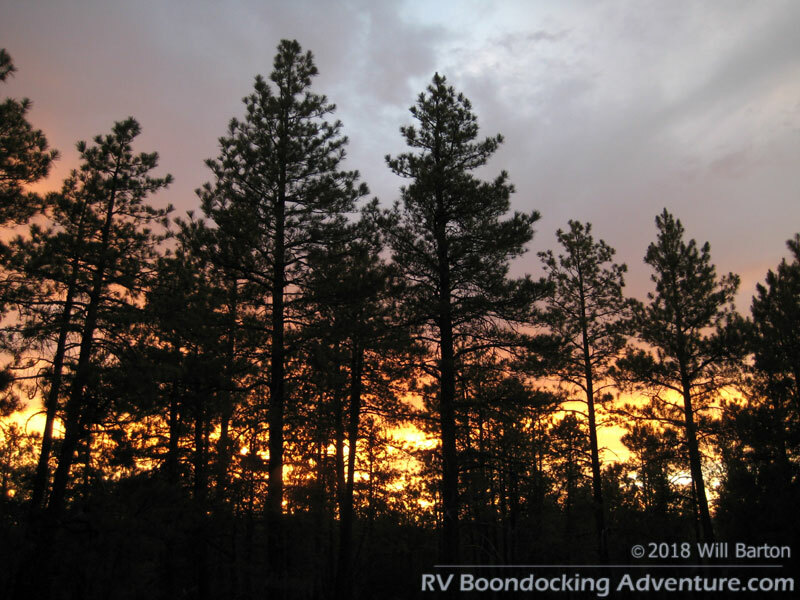 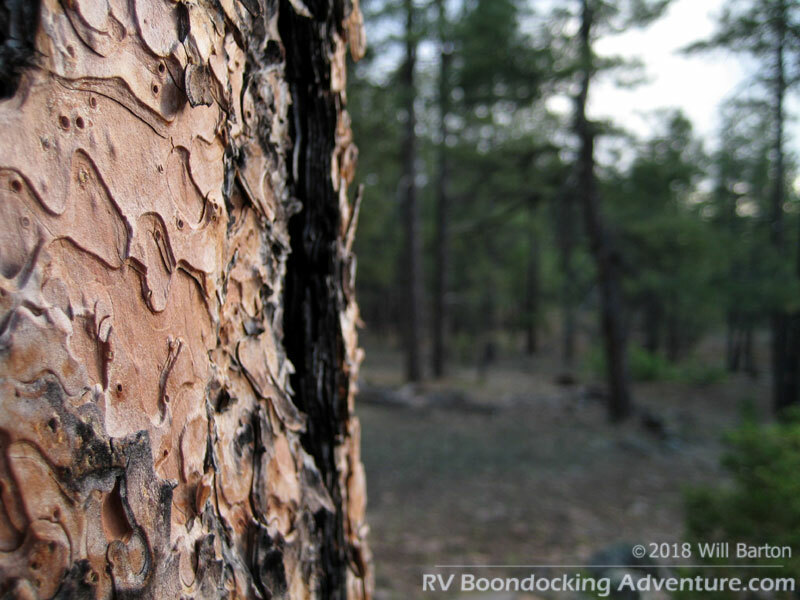 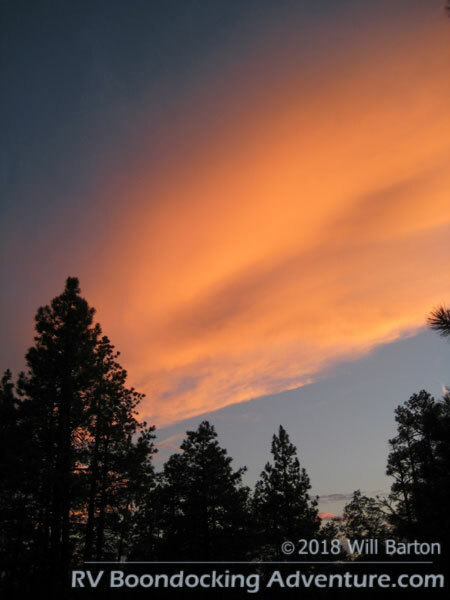 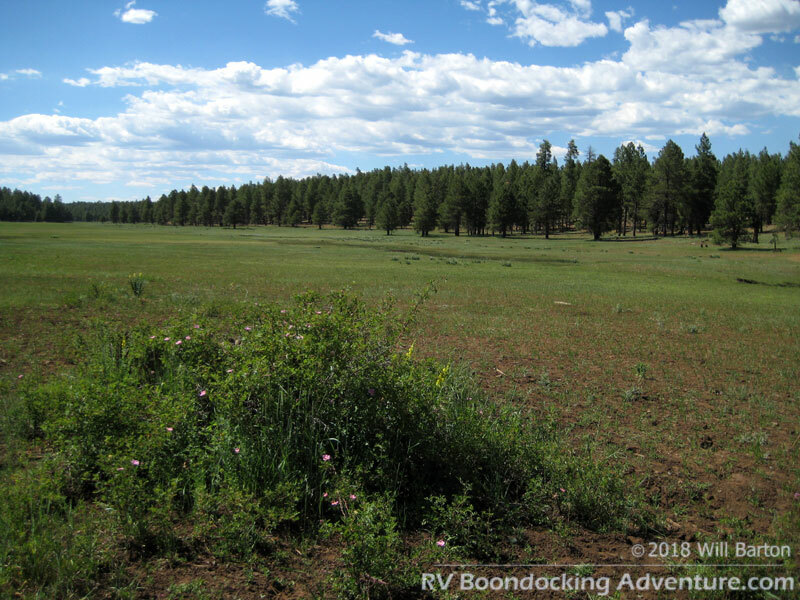 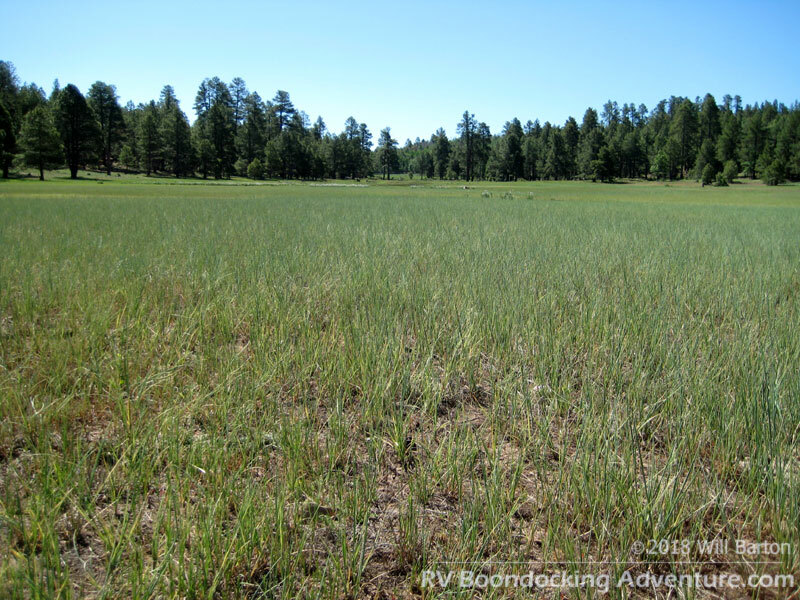 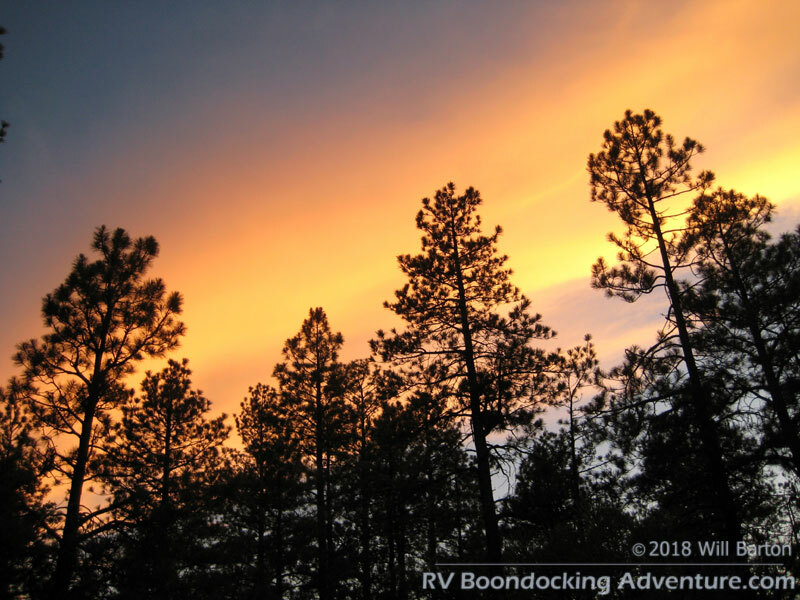 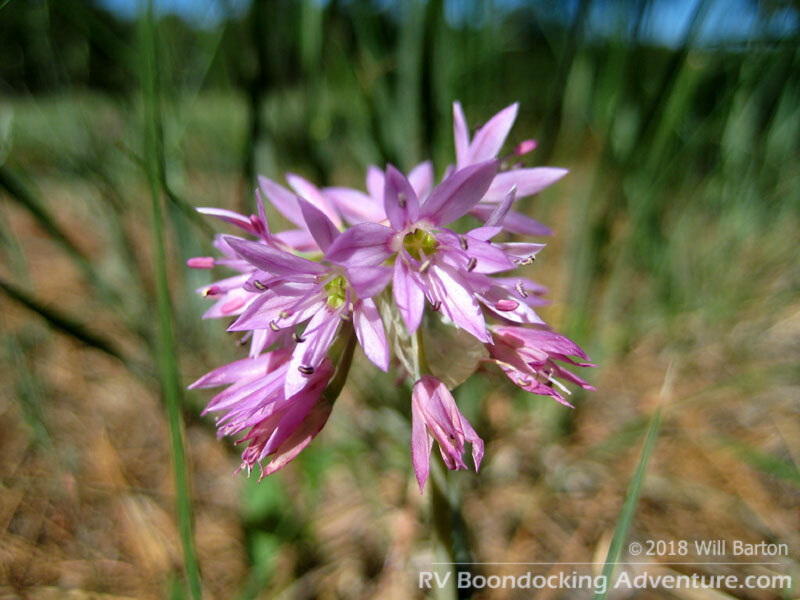 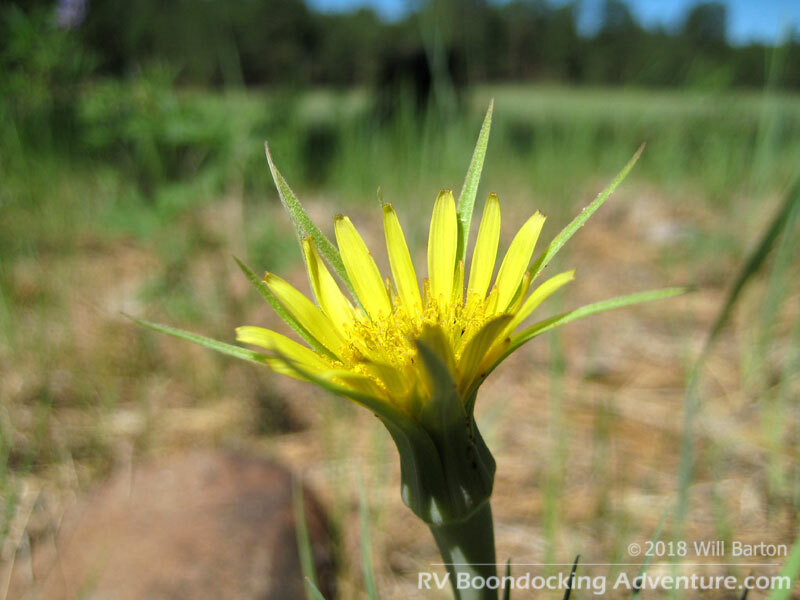 You’ll find campsites deep within the ponderosa pines, and others on the edge of serene forest meadows. There are two trailheads. 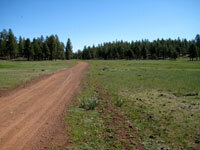 The east trailhead sees the most use and has a good sized parking lot. 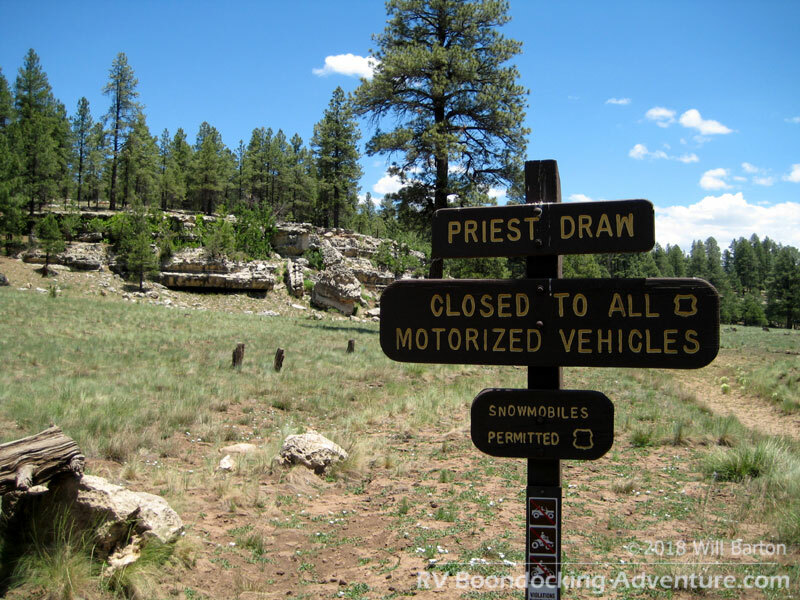 The west trailhead is best for those with a high clearance vehicle as the national forest road leading to it can be a bit rough.